The Georgini Clover features a highly polished sterling silver tube with four circles filled with cubic zirconia stones. 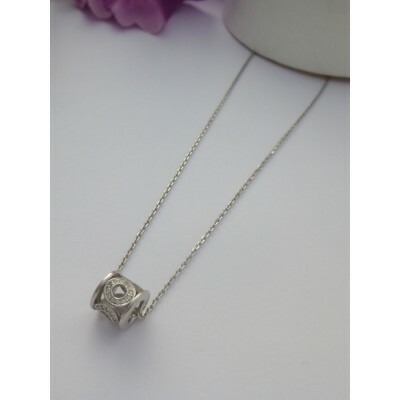 A very unusual pendant with a tube feature that has solid silver polished ends through which the necklace chain flows. 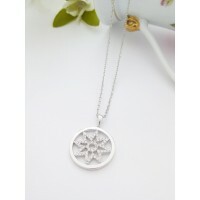 The main pendant has a hollow tube and four sterling silver circles that touch each other. The circles are filled with with small cz stones each individually set that creates an array of sparkle. 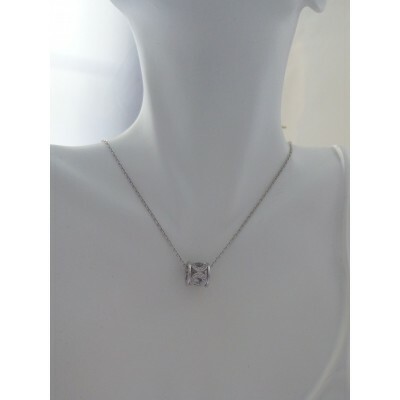 As with all of the Georgini range, the quality of this tube pendant necklace is amazing with faultless craftsmanship. 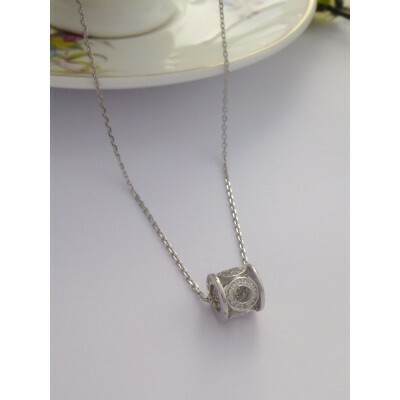 The main tube is approximately 8mm long and 9mm tall, it sits on a sterling silver necklace chain that is approximately 38cm in length with a 5cm extender and features a 925 sterling silver hallmark and the Georgini engraved brand name. 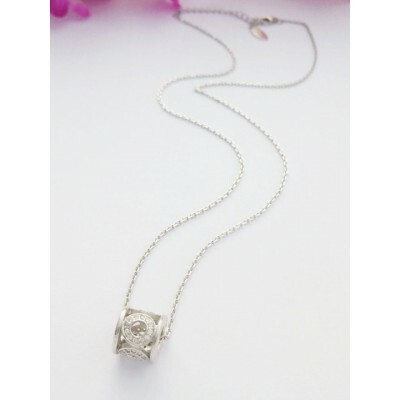 A sterling silver tube pendant necklace filled with sparkling cz stones. 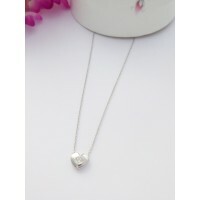 The chain is approximately 38cm long and has a 5cm extender. Fully 925 sterling silver hallmarked and branded by Georgini.